The above photo is of 2254 21st Ave. Oakland CA 94601. 2 bed, 2 bath, 1,300 sf, 4,242 sf lot. 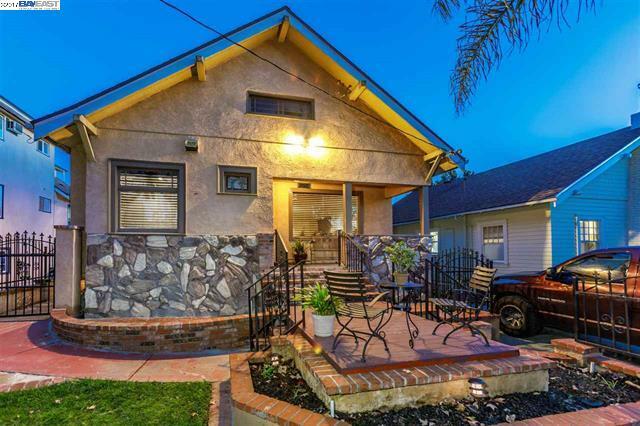 It was listed at $539,000. At this time there was no information about the court date and the first overbid amount. 30699 Chimney Ln, Union City CA 94587. No court date and no first overbid amount given. 36 Maximo Ct., Danville CA 94506. Court date 6/13/17 9am in the Martinez court. No first overbid amount given. 15385 Inverness St., San Leandro CA 94579. No court date and no first overbid amount given. It's amazing that the listing agents are not providing the court date and first overbid amount. The court wants the most money for the estate and to do that the listing agent is required to keep marketing the property. If you are interested in probate properties, call me. 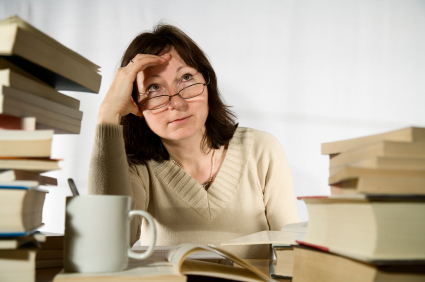 There are probate sales that do not require court confirmation. They're faster and more secure. To buy these properties you would have to show up at court to bid with ready money. 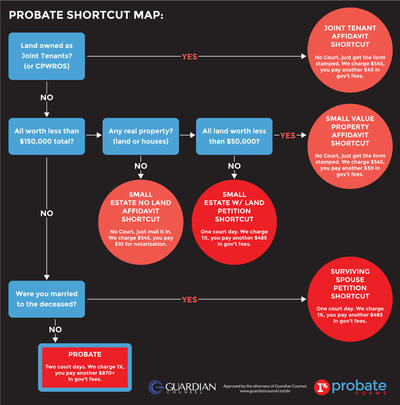 Did someone in your family die without a will or trust and you need to start probate? You don't know where to start? 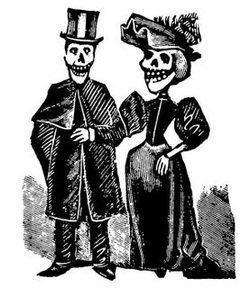 Consider the folks at 1% Probate Forms. Example: a condo worth $200,000 would cost you $495 and $2,000. A lawyer would charge $9,000. Need help with probate real estate? Go to www.eastbayprobates.com. A person called me to tell me that his house had to be sold and it had to be probated. Furthermore, he said, "the sale has to go to court. My lawyer said he was going to advertise it on the local newspapers." So he said, "does that mean it's going to the courthouse steps?" I told him "no." The courthouse steps is for foreclosures sales. There's usually a bunch of investors bidding on properties. The person selling the properties is called the auctioneer. The court he was going to, on the other hand, would have investor bidding but it would be in front of a judge not the steps. 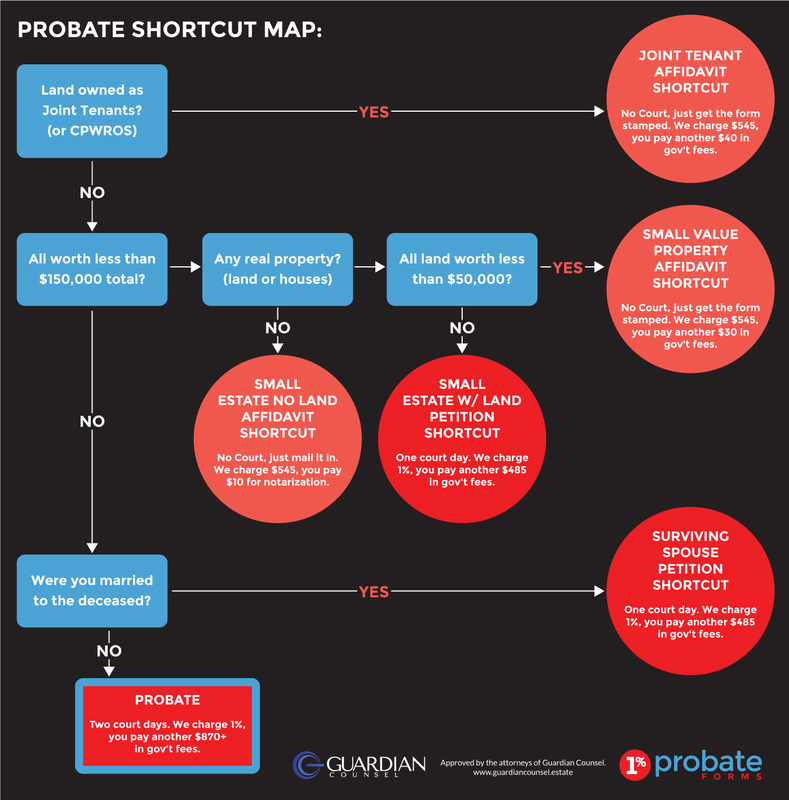 If you're confused about a probate sale, call me because I can help. A realtor friend called me to ask me who chooses the agent because her friend wanted to hire her. Who chooses the agent? Is it the executor/administrator or the lawyer? Did the deceased die without a will? Yes. Well she is the administrator, I said. Remember who is the principal. The administrator hires the lawyer and the real estate agent. She said, "my friend wants me to sell the house for her. But her lawyer is telling her that he knows someone too." Me, "If your friend wants to hire you tell her it's her right to do so." I checked with a lawyer friend I know. He said the same thing. The executor or administrator hires the agent. "If the administrator doesn't know any agents, he said, "I give him three names of agents to choose from. Yours, of course, is one of them." Have any probate questions? Let me know. Did you know that in a probate sale with court confirmation, the house was still for sale even after an offer has been accepted? I was checking the Multiple Listing Service (MLS) for Pending Probates with Court Confirmation. Only two out of 22 listings stated the confirmation date and the first overbid amount. The sellers are losing out! What is this? The property is still for sale until it has been confirmed in court. Many sellers don't know this, and apparently, many agents don't know it or don't bother to post it. Why do you think the lawyer has to advertise the sale in local newspapers? To get potential buyers to come to court to bid. Same with the MLS. Court date 5/6/15 @ 9:30 am @ Berkeley Court , 2120 MLK Jr. Way, Dept. 2. First overbid is $400,000. 10% cashier's check required. For further information contact the listing agent. Ask your agent to keep marketing the property until the judge approves the sale. You want more for your property, don't you? Should I bring a cashier's check or proof of funds? Always bring a cashier's check. 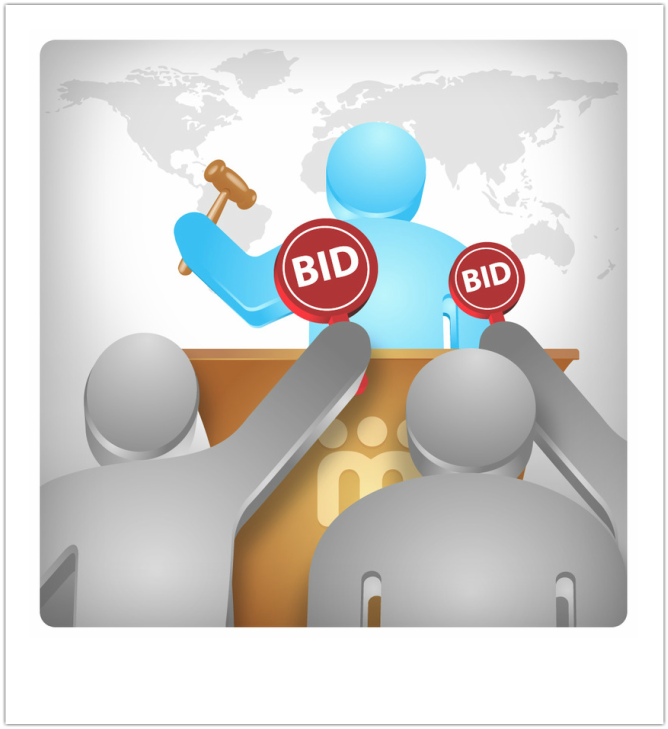 That guarantees that you will be allowed to bid. Proof of funds may be good enough, but there is no guarantee that the judge will allow it. Should I bring several cashier checks in small denominations in addition to the main check? No. Your main cashier's check is good enough. That gets you into the bidding. How do I know how much money to bring? Ask your agent to ask the listing agent. Ask what is the minimum opening bid amount. Alberto Rosas, a lawyer, gave us a presentation at the National Association of Hispanic Real Estate Professionals of Alameda County, NAHREPAC, some time ago. I thought it was darn good so I asked him for his presentation slides. See below. One note, the presentation is entitled "and the Hispanic Community" but it really applies to all communities. By the way, Uno is One, Dos is Two, and Tres is Three, for those of you who are Spanish challenged. 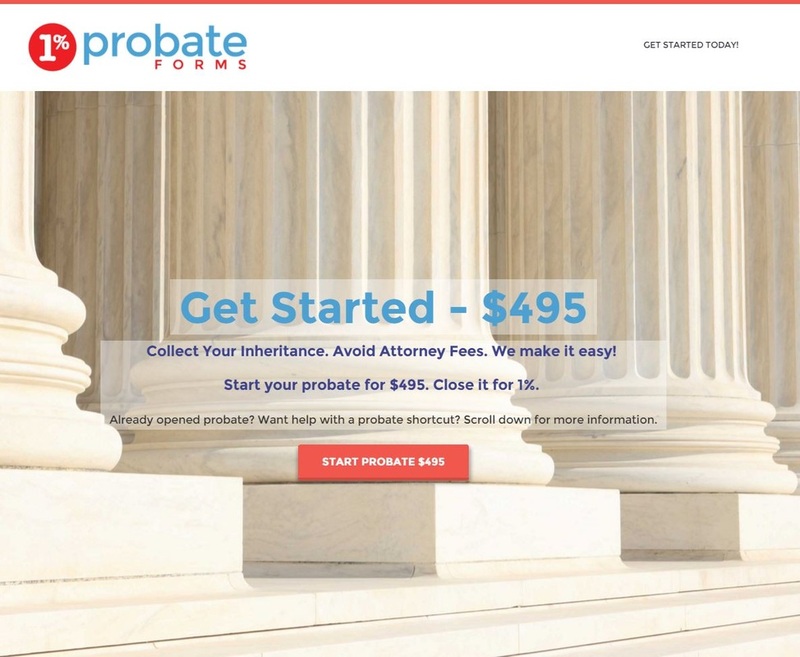 I was surprised to learn that Probate cases make up about 1 out of 5 general civil cases, and that 55% of USAers (Americans) do not have a will or other estate plan! Higher for Hispanics!! It forced me look at my personal matters with my family and I told my parents, brothers, and sisters about the importance of a will, living trust, and estate planning. I know nobody wants to hear about these things but suddenly decades go by and there you go...and the heirs fight over the inheritance. I hope you like the probate presentation slides. If you have any real estate questions call me. If you want to contact Alberto Rosas, you can do so at 510.237.3700. He is now with Watson, Hoffe, and Hass Attorneys at Law. 22069 Cameron St. Castro Valley CA 94546 $349,000 2 bed/1 bath, 976 sq. ft., 5,600 sq. ft. Newer roof. Long time owner maintained home well, but needs updating. Nice floor plan, on a large lot. It has future expansion possibilities! Home features 2 large bedrooms, living room with fireplace. This is your next home! Excellent Castro Valley location. Convenient to BART, freeways, and shopping. Probate with court confirmation. Buyer must remove all contingencies before being accepted by the court. Property is being sold strictly As-Is. People sometimes don't know what's going on with their properties. I had asked the seller if there were any outstanding debts against the properties. She said no. "I own it outright." We list the house and accept an offer. We got the preliminary title report* as usual. In a couple of days I get a call from the escrow agent. "What about the $45,000 personal loan on the prelim?" I react, "huh?" the escrow agent said, "We need a payoff demand. It looks like it's a personal loan. Can you get the contact information from the seller." So I called the seller. Me: "Do you know anything about this loan? It looks like it's 30 years old. It's owed to a man." Seller: "That was a long time ago. Just tell them that debt no longer matters. Please." Me: (Really?!) "That's not the way it works. The loan has to be paid off or the title company won't insure the property. The buying bank won't make the loan because banks don't lend on clouded titles. Do you know where the person is? Seller: "No. He passed away a long time ago." Me: "He's dead? Oh, no." So I called the escrow agent. Me: "Jamie, the person who made that loan has passed away." Jamie: "You're gonna have to do a probate." Me: " I knew you're were gonna say that." Jamie: "I know a good probate lawyer." And that's how we ended up in a probate sale situation. Guess what? It''ll be a few months to resolve it. So the sale is cancelled. Oh, my. Me: "What's this about defaulted property taxes? It says $10,114!" Seller: "Really? I don't know anything about that." * Preliminary Title Report: A report done by a title company before issuing title insurance coverage. The report shows the ownership of a specific property along with the liens and encumbrances that will be paid off and covered.